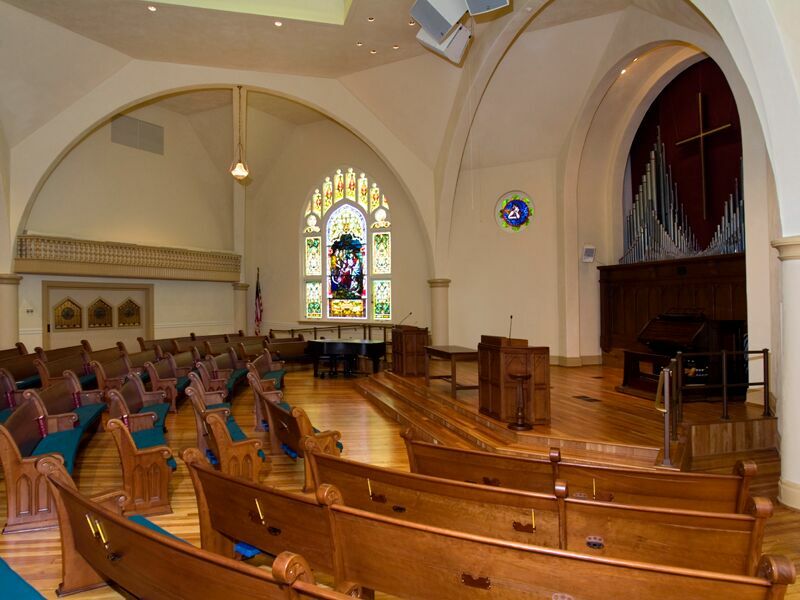 The First Presbyterian Church project includes renovation of the Church's Sanctuary, Chancel, and Narthex. The re-designed Chancel successfully meets the Client's desire for an accessible and flexible space which may accommodate traditional and non-traditional services as well as a variety of music and performance venues. The design provides new and restored interior finishes and lighting, and a new sound system.